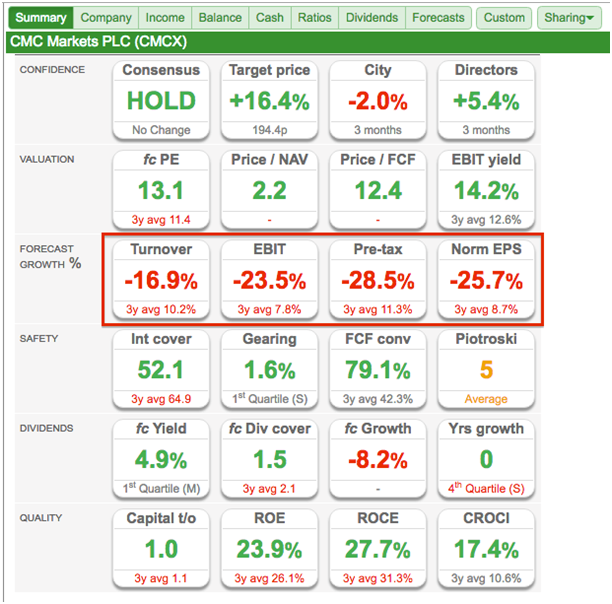 …and this time my SharePad system has identified CMC Markets (LSE: CMCX) as a potential longer-term investment. CMC is a high-margin, cash-rich and owner-run business that I believe could sit well within a diversified income portfolio — despite the firm’s earnings being likely to suffer a setback this year. Let me explain how I pinpointed CMC, and what I discovered through SharePad. CMC appeared on another of my regular SharePad trawls. 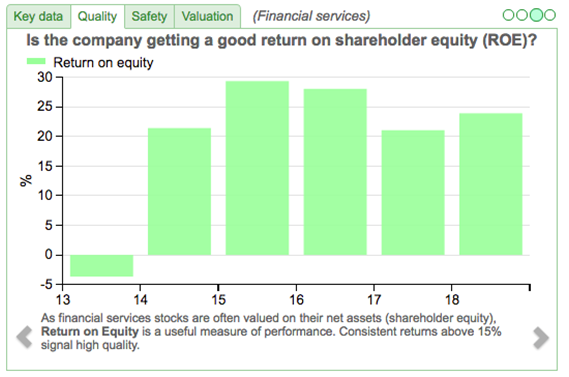 For this search, I wanted to short-list companies where the directors had at least £10m riding on the share price. …as opposed to typical ‘salarymen’ bosses, who might pay more attention to their fat wages, easy bonuses and cheap options. Also, I wanted to restrict the search to established, dividend-paying businesses where the share price may have fallen out of favour. 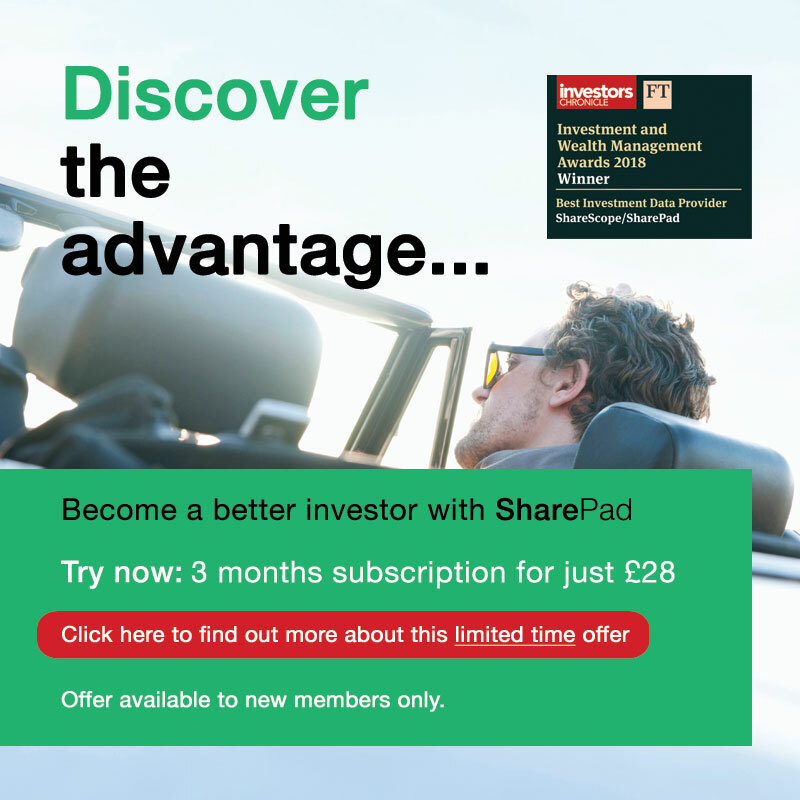 SharePad returned only 10 companies, and CMC jumped out because I instantly recognised the group’s business — it is a prominent provider of contracts-for-difference (CFD) and spread-bet trading. 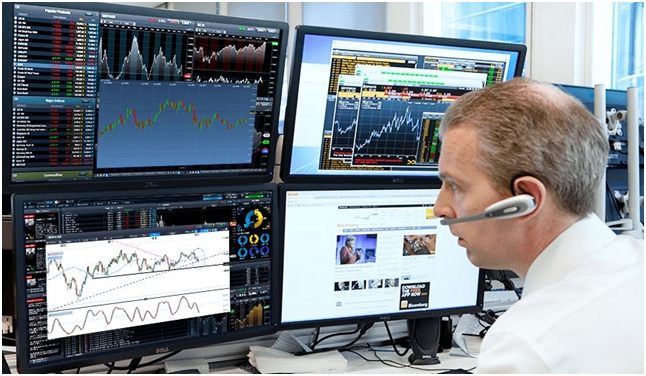 At the last count, almost 60,000 clients use CMC to trade a variety of indices, commodities, equities and forex instruments. The firm operates in the UK, Europe, Australia, New Zealand and Canada. I see chief exec Peter Cruddas and his wife Fiona own about two-thirds of CMC — a stake currently worth approximately £320m. 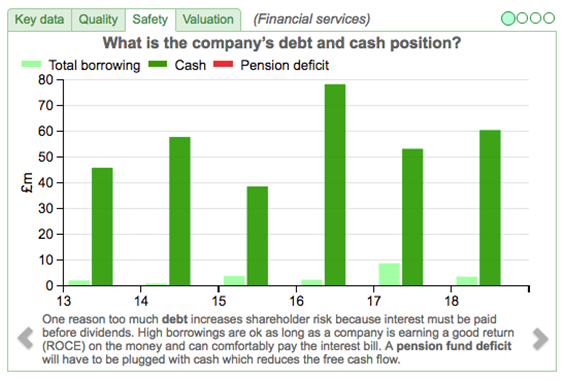 Furthermore, CMC’s 5% dividend yield tells me the couple’s combined dividend income is £16m. In theory at least, Mr and Mrs Cruddas should have every incentive to ensure their CMC investment and dividends do not dwindle away! I like the fact Mr Cruddas has served as a board member for almost 30 years. In my experience, some of the very best shares to own are those run by veteran bosses who have coped successfully with a variety of past economic conditions. However, such executive longevity often comes with ‘succession risk’. Mr Cruddas is in his mid-60s and perhaps retirement is not far away. Clearly the huge director shareholding has not prevented some recent difficulties. But as I will explain, the seasoned Mr Cruddas has experienced setbacks at CMC before… and I dare say nobody creates a £320m fortune without possessing some talent and perseverance. So, could now be the point at which to back CMC and Mr Cruddas? Time to delve further. “Peter founded the Group and became its Chief Executive Officer in 1989. Peter held this role until October 2007, and again between July 2009 and June 2010. Between 2003 and March 2013, he also served as the Group’s Executive Chairman. In March 2013, he once again became the Group’s CEO, and is responsible for running the Group on a day to day basis. Prior to founding the Group, Peter was Chief Dealer and Global Group Treasury Advisor at S.C.F. 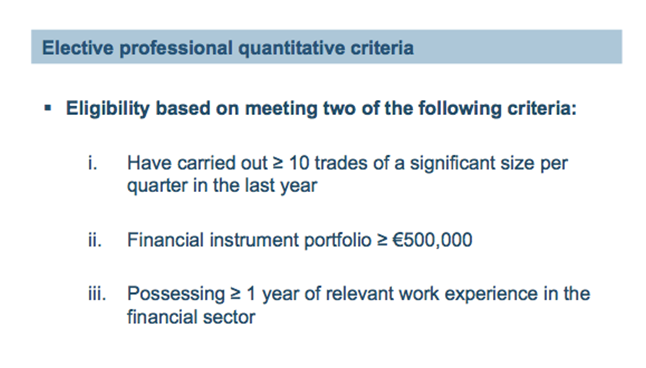 Equity Services”. An entrepreneur who has held the lead executive role since day one — that looks good to me. Elsewhere within the prospectus, this extract caught my attention (my bold). However, in 2010, as the financial crisis developed the Group responded by reducing the size of its hedged portfolio through the removal of a number of its products (in particular, equities), which led to a reduction in spreads, net financing and commission. Oh dear. 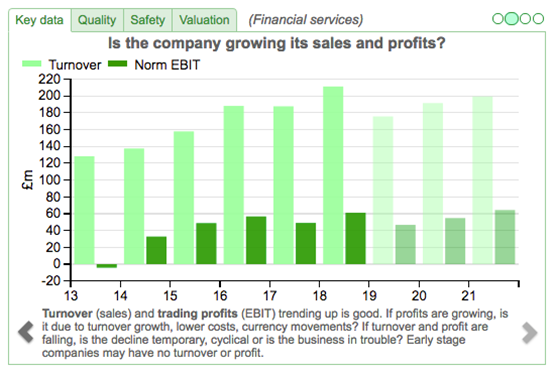 A “significant negative impact on profitability” does not sound great. From what I can tell within CMC’s old annual reports, greater market volatility — leading to additional clients and a trading boom — supported bumper revenue during 2008 and 2009. Then the aforementioned “significant competitive pressures” — alongside lower trading volumes — prompted turnover to slump during 2010… and again during 2013. A lack of hedging against certain client positions occasionally hit the top line, too. Meanwhile, the additional costs of developing a fresh IT system increased expenses and hit profits from 2009 onwards. So the long-term history is somewhat haphazard. But at least Mr Cruddas navigated CMC through these challenging times, which I trust bodes well given those alarming current-year forecasts. 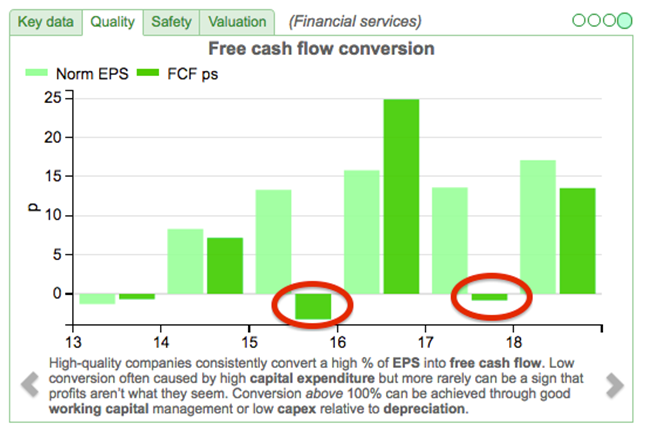 Two years (2015 and 2017) show positive earnings converted into negative free cash flow. So what happened then? The Change in working capital line reveals substantial outflows during 2015 and 2017, and appears to be the culprit. We have to refer to the annual report to discover exactly what has happened — but at least we know what entries to look for. I found CMC’s accounts include cash held on behalf of clients — and the aforementioned Change in working capital line incorporates movements relating to such sums. 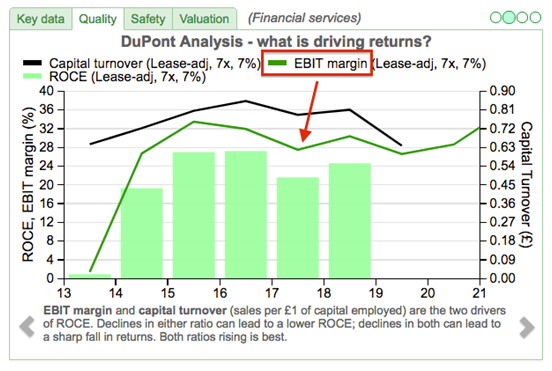 The snapshot above indicates the ‘underlying’ working-capital movements are not as extreme as the full accounts suggest. 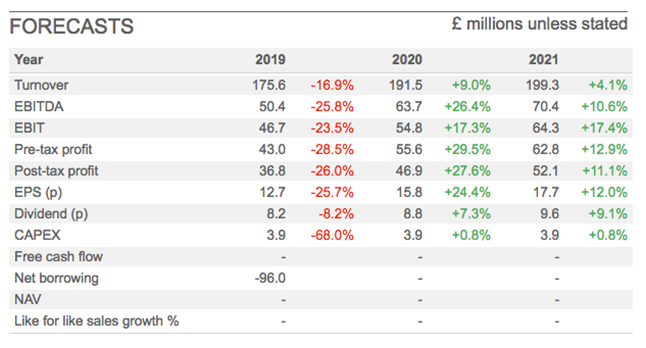 You can see that ‘own funds’ have increased every year despite some sizeable dividend payments. All told, CMC seems quite cash-generative to me. So we have established CMC is a high-margin, high-ROE, cash-rich and cash-generative operator that has survived various ups and downs before. Certainly the promotion of CFD trading has become harder. In particular, operators can no longer offer account-opening bonuses or other benefits. The FCA reckons the industry average for losing money is 82% — a sobering stat. Anyway, CMC (and rivals) can circumvent some of the new rules by classifying clients as ‘professional’. That way, these ‘professional’ clients can continue trading as before, and presumably generate CMC (and rivals) the same revenue as before. 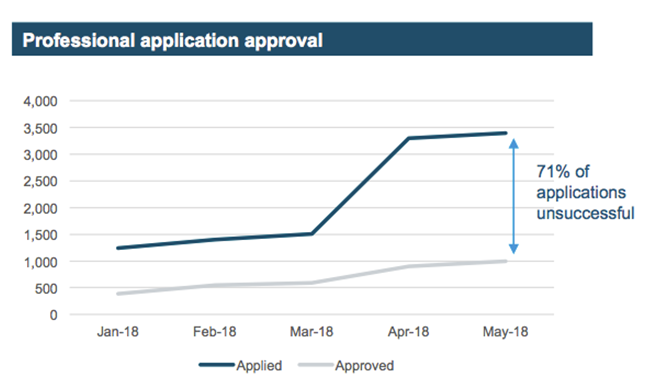 Whether 18,000 new traders can continue to be found each year — especially following the new rules on UK/EU marketing — remains to be seen. Note, too, that most of CMC’s income is derived from a small proportion of customers. 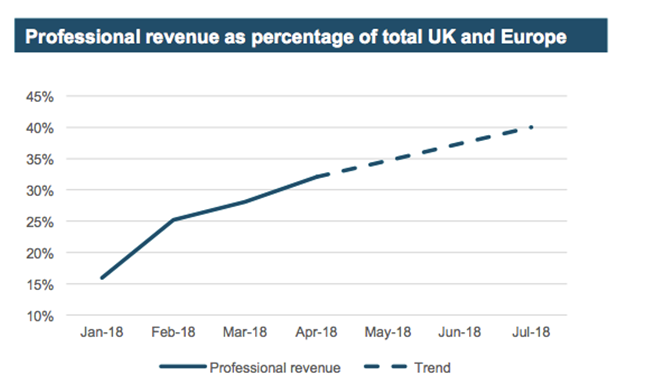 During 2018 for instance, 79% of the group’s CFD/spread-bet net revenue (equivalent to £139m) was generated by only 10% of clients. So it appears close to 6,000 traders each generated CMC approximately £23k on average through spreads, commissions and other fees. That leaves the other 54,000 clients generating an average of just £660. 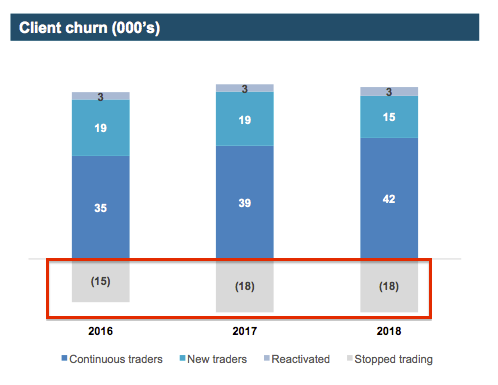 CMC’s declared strategy includes targeting “more valuable, long-tenure clients” — which sounds sensible to me in light of the heightened regulatory regime. That said, some of CMC’s ‘high rollers’ are introduced to the group by third parties, and these third parties could in practice redirect these big spenders to rival websites. Just so you know, I have bought and sold ordinary shares for 25 years now… but I confess I have never traded a CFD or spread-bet. I just think there is every chance I will end up joining the losing 82%! Mind you, there is always the winning 18% who can make very good money in a very short time. And no doubt the possibility of ‘getting rich quick’ will continue to draw new traders to the likes of CMC. Whether the likes of you and me can ‘get rich quick’ owning CMC’s shares, though, is a different matter. 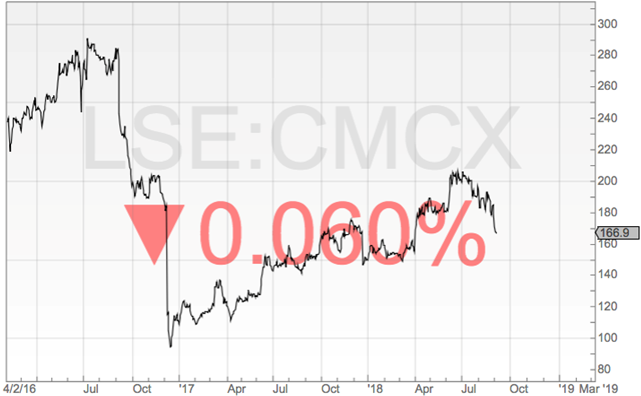 All in all, I suspect the stock market may want to discover just how badly the new regulatory regime will affect CMC’s earnings before giving the shares the full benefit of the doubt. Longer term, though, the new rules ought to support CMC’s competitive position. For one thing, the likelihood of rivals stealing market share through aggressive marketing should be reduced significantly. In the meantime, the shares offer a 5% yield and I get the impression CMC could sit well within a diversified — and patient! — income portfolio. In fact, I would venture this cash-rich, high-margin, high-ROE operator is much more attractive than the typical FTSE 100 ‘high yield’ investment candidate. I also reckon the presence of Mr Cruddas, that £320m shareholding and the firm’s large cash position could combine to maintain the current dividend — despite the City consensus suggesting an 8% cut for 2019. Finally, there is always the chance CMC could once again enjoy bumper client trading — and earn bumper profits — during a sustained bout of market turmoil. 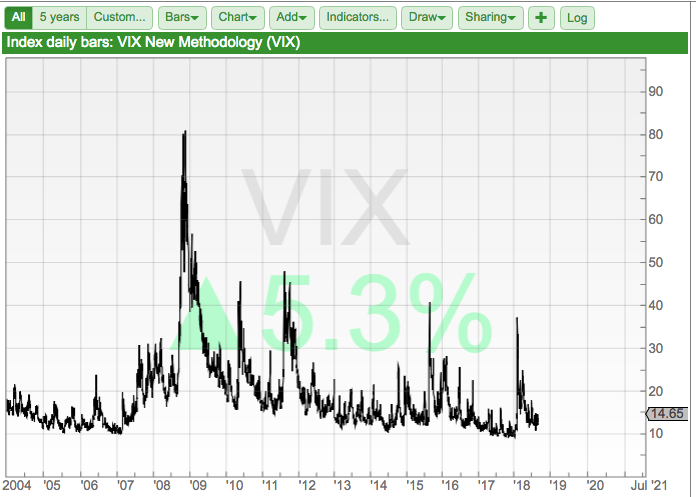 I will leave you to decide when another volatility spike is due. Disclosure: Maynard does not own shares in CMC Markets.